You are welcome to come to our workshop and we’ll assess your console and give you a rough estimate of the repair cost. 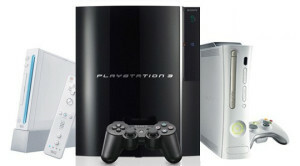 We are experienced console repairers – Repairs, Services & Upgrades. All consoles repaired: Playstation 4 (PS4) • Xbox One • Xbox360 • Playstation 3 (PS3) • Wii • Nintendo DS/2DS/3DS. Can’t see your problem on the list below? Please contact us for friendly advice on your options and for a quote. Red ring of death (Xbox 360). Overheating / Fan issues and upgrades. Boot up / start up problems. Not reading discs / laser problems. Yellow light of death (PS3). Prices are approximate and may vary. For an exact price, please contact us with your Make and full model number of your console and details of the problem you are having.